Dimplex Thermal Solutions (DTS) is a leading global manufacturer and provider of standard and custom chilling solutions. Dimplex Thermal serves multiple industries, including food processing, medical, industrial/manufacturing, and many others. Dimplex Thermal Solutions offers many years of expertise in its field, ensuring the ideal equipment solutions for a number of needs. EquipNet is constantly receiving used Dimplex Thermal Solutions equipment through our exclusive contracts with our clients. 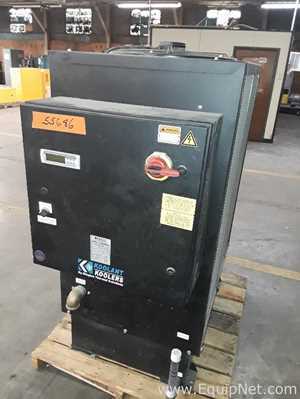 Our inventory of used Dimplex Thermal Solutions equipment includes chillers and more. If you don't see the used Dimplex Thermal Solutions equipment you are looking for, call one of our representatives and we will find it for you. We can also source the right tooling and change parts that you need through our huge network of corporate clients around the globe. Dimplex Thermal Solutions chillers are produced as some of the best worldwide with many different features and applications offered, including industrial, medical, and food processing. EquipNet carries a range of Dimplex Thermal Solutions chillers with different features and capabilities to meet a number of needs and requirements, including the MC75WC portable chiller and more.